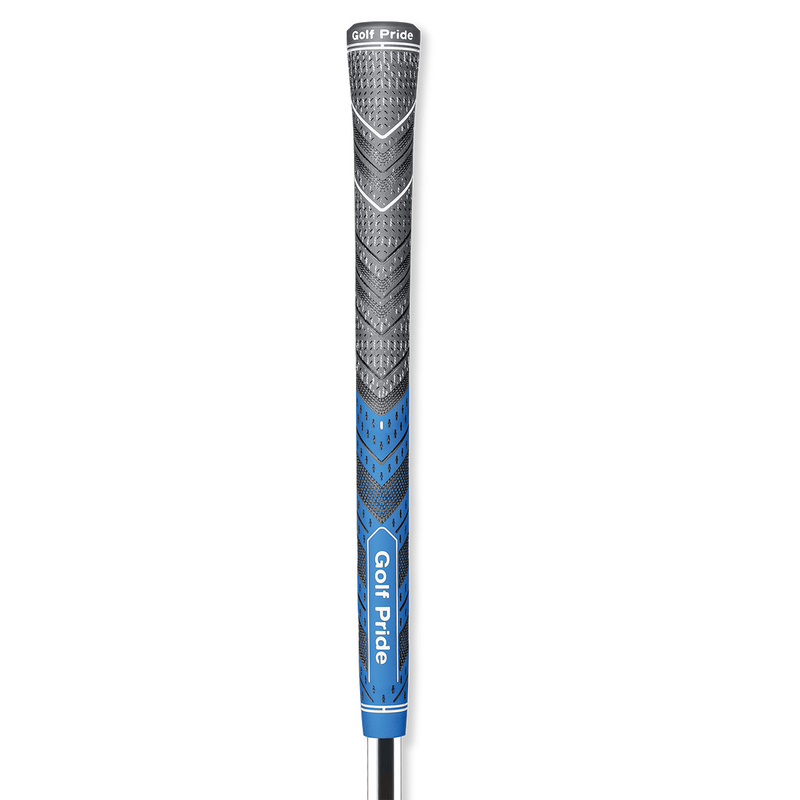 The Golf Pride MCC Plus4 Grip is a Tour-proven, hybrid grip featuring a larger lower hand thickness and a new, softer rubber material for excellent grip and performance. The Golf Pride MCC Plus4 Grip comes with a 4.6% larger lower hand diameter than the Original MCC and promotes lighter grip pressure, reduced tension in the swing and increased power. The lower hand features soft, responsive rubber compound ideal for enhanced feel - the upper hand material a soft compound with Brushed Cotton Cord and new, strategically placed Micro-Texture for downswing stability. This grip is ideal for all weather conditions.